The thing out here is that failures are apparent nearly forever. Just before this trip, I was in Louisiana, where think layers of vegetation will cover things up practically overnight, so that abandoned places just look like all the other green stuff. The desert wants to always remind us who’s in charge. And it’s not us. 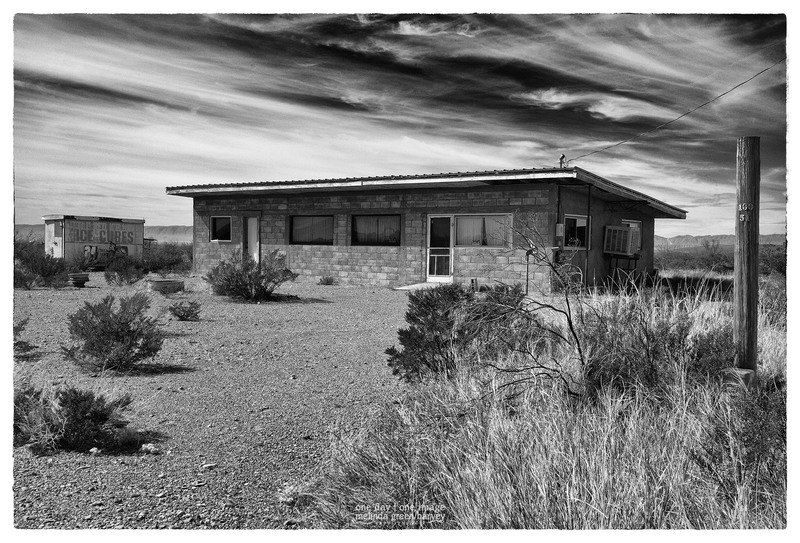 Posted on November 26, 2017, in Photography and tagged 365 photo project, abandoned buildings, black and white photography, desert, far west texas, learning to see, Leica, melinda green harvey, monochrome, one day one image, photo a day, photography, postaday, Presidio, Presidio Texas, texas, thoughtful seeing. Bookmark the permalink. 2 Comments. True as proved. Love the clouds as well.